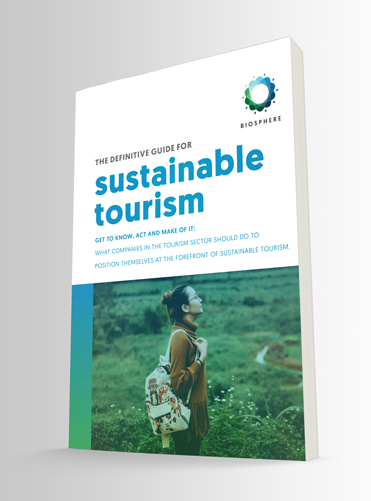 In the path towards sustainable tourism highlight true examples of sustainable tourism, experiences that prove that a sustainable future is possible. They are the new sustainable tourism lighthouses that are appearing across the planet; places that have already proven this to be a feasible option, sustainable tourism case studies and success stories that can become models to be replicated or from which learnings may be extracted towards the development of viable solutions at different scales. Certified in 2013 as "Biosphere World Urban Destination", awarded by the Responsible Tourism Institute (ITR) and supported by UNESCO, the city of Gijon remains as one of the best sustainable tourism examples. After renewing their certificate of sustainability thanks to the strong involvement of the tourism area of ​​Gijon and the development of a marketing plan undertaken to publicize the city's commitment to responsible tourism, Gijon continues to champion the example of a city committed to responsible tourism thanks to the many benefits it offers in terms of sustainability both to visitors and to their own citizens. 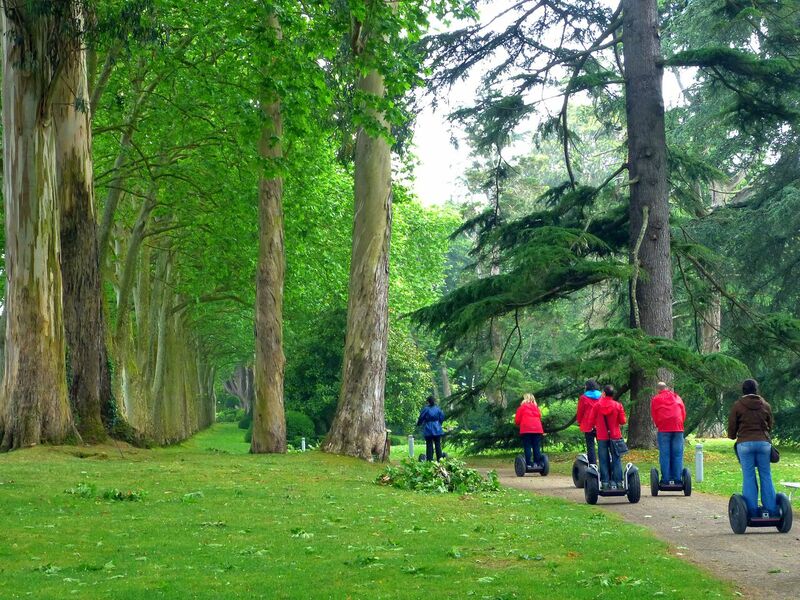 A broad culture and cuisine that blend with its green landscapes, a comprehensive care of the environment, a high quality of life and a tourism model that focuses on the satisfaction of its visitors are the strengths that have made Gijón a city certified the Biosphere World Urban Destination. ENVIRONMENTAL COMMITMENT: more than 85% of the council's rural area. It stresses the Botanic Garden, unique in the Cantabrian coast, with an area of ​​25 hectares where about 30,000 plants are cataloged, emphasizing the Tragamón Carbayera over 400 years old. CULTURE AND TRADITION: Gijon is a city rooted popular values ​​and with plenty of activities and museums that allow tourists to experience firsthand the history and local customs. SOCIAL COMMITMENT: Gijon has different programs to boost economic activity, job creation and sustainable development in motion. In addition, the most vulnerable, the care and coverage of basic needs is guaranteed. It highlights the beginning of a "Comprehensive Plan of accessibility and non-discrimination" aimed at achieving an accessible city. DIFFERENTIAL FOR QUALITY: Awarded as the best destination for tourism quality in 2012 by the Ministry of Industry, Energy and Tourism of Spain and being recognized again for the work done during 2014, Gijón works based on a differentiated tourism model on innovation, quality and environment. Leader in applying new technologies and appropriate practices around sustainability. Designed from beginning to end with the most rigorous standards of sustainable construction, BIOHOTEL is a pioneer for LEED Certification in South America, thanks to a philosophy that not only involves a sustainable infrastructure, but also an exhaustive process of acquiring eco-efficient suppliers and supplies in the international market. An architectural icon of Bogota, Biohotel Organic Suites is a sustainable construction in the process of becoming LEED certified. A model community for Gentle Mobility (Austria). Gentle mobility means being able to enjoy a car-free vacation, while still being completely mobile (known as Sanfte Mobilität or SAMO in German). Sustainable mobility is organized in all stages of the trip: from train connections to local mobility by means of electric vehicles, horse-drawn carriages, ELOIS and eco-friendly cars. From 1995 to 2013, the share of non-car arrival rose from 6% to 25% in Werfenweng. Nature is a priceless commodity, one which we must do everything we can to protect. A model of sustainable hotel in Dana biosphere reserve (Jordan). Feynan Ecolodge is a first for ecotourism in Jordan. Owned by the Royal Society for the Conservation of Nature (RSCN) and operated by EcoHotels (a Jordanian start up), Feynan Ecolodge integrates conservation and socio-economic development whilst having a minimal impact on the environment and offering a unique tourism experience. It is a reference of 100% renewable energy hotel. Feynan Ecolodge has garnered international recognition, receiving a number of awards including being listed as one of National Geographic’s top 25 ecolodges in the world in 2013. Reduce the usage of plastic, create awareness for the reduction and waste reuse, make potable water available and contribute in a general manner for the ecological consciousness of all population and tourists of the Island of Principe are the goals of the Water & Recycle Project, launched in December 2013 by the World Biosphere Reserve of the Island of Principe. The concept behind the project is simple and based in the exchange of 50 plastic bottles for a refillable one in stainless steel, designated as the “Biosphere bottle” which can be refilled at potable water dispensers made available for that purpose. Back in 2004 when we decided to apply for the Biosphere Certification, we understood the importance of becoming a resort for everyone and started rebuilding the aparthotel for people with reduced mobility so we would achieve the standards of an accessible aparthotel by 2010. We changed the irrigation system on the whole resort, we have drip irrigation, double buttoned toilets in order to save water as well as spray shower heads. Also, we follow a strict consumption policy: we use recycled paper, and as partners of the RTI, all of our certified providers companies help us recycle oil, toners and light bulbs and lamps. In terms of energy consumption we installed photovoltaic fields and 60 per cent of the energy we use is clean. We also collaborate with different nongovernmental associations on and off-island because we think together we can improve the quality of life of many. The Finolhu Villas, Club Méditerranée, Maldives. The Climate Solutions Hub case study. Innovative and sustainable, these Villas operate mainly on renewable energy with almost 6,000 m² of solar panels self-cleaning, perfectly integrated in the architecture and landscape of the site. Special attention is also paid to water management, biodiversity and reducing and recycling waste. A bottling plant has been installed, to replace remaining plastic bottles (Room service, Restaurant) with glass bottles filled with Finolhu’s fresh water. A wide range of sensitization activities are offered such as diving under the leadership expertise of Eurodivers; cultural activities based on local culture, history and folklore; lectures on marine life of the Maldives carried out by divers (from Eurodiver); stargazing to the telescope. - The creation of an interactive environmental microsite to provide more visual explanations of all environmental measures and actions that are being taken (mainly energy saving), as well as social actions and activities to support local culture and cuisine. - Innovative impact control, using ecological and carbon footprint calculations (see item 2.1 of this report). - Innovation in activities aimed at optimising consumption, and raising awareness of this among guests and different stakeholders. A new concept in economic urban accommodation using the new generation hostel model, Twentytú Hi-tech Hostel is the most innovative and sustainable hostel in the city of Barcelona (the first in the world to obtain the BIOSPHERE RESPONSIBLE TOURISM certificate). A new form of tourist accommodation aimed essentially at families, groups or foreign visitors, or Spanish nationals travelling on their own. It combines several new trends and requirements that are necessary to make us a new, leading reference in the very professional and experienced hotel sector, such as sustainability, management efficiency and the promotion of different tourist environments. The establishment describes itself as a friendly, eco-hostel, where maximum priority is given to creating a sociable environment, as you can enjoy the unique experience of sharing rooms with other travellers. 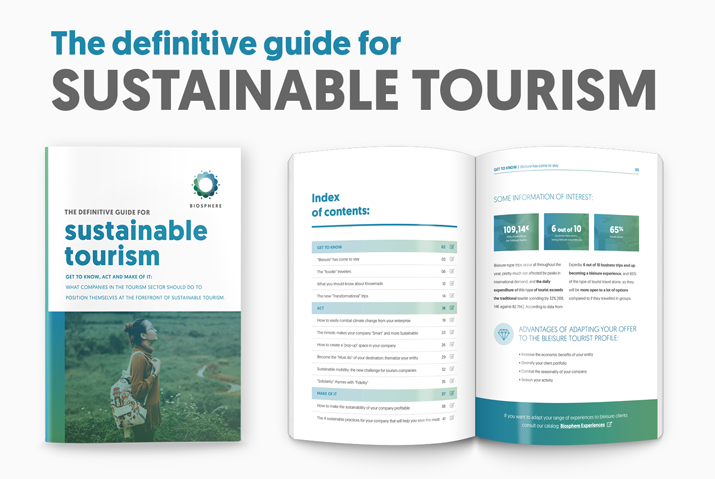 We are aware that tourism will never be completely green or entirely socially responsible, as each tourist, to some degree, negatively affects the environment. For that reason sustainable and responsible programs are necessary more than ever before, if we wish to keep this natural, cultural and social environment of people and places. We are offering a possibility to realize your social responsibility also as a tourist. In the form of experiences through a tourist product, you will co-create your social imprint and measurable social impact in addressing social challenges in a local environment. Impact tourism enables us to co-create a better and more beautiful world in a pleasant way. We're a family-run apart-hotel focused on the development and inclusion of the Local Economy. We not only employ a local team of workers, we also involve over 80% of local stakeholders. In addition we are tackling Seasonality - one of the biggest issues of our rural destination - by working all year round and basing our marketing efforts on this objective. We take product-selection criteria very seriously and, and as far as is possible, only use those products that are of local-produce (km0), ecological or fair-trade and animal-welfare-friendly products. With these measures we are not only contributing to the local economy but are also encouraging a partnership based tourism model through a sustainable outlook. Located in Travancinha, 12 km from the Natural Park of Serra da Estrela (Portugal), Chão do Rio contributes for the enrichment of local biodiversity and offers a sustainable lodgment experience. In its 19 acres farm, nature is cared and enjoyed. Its confortable stone cottages, with thatched roofs, were set around around a biological pool. Breakfast is served in baskets and includes local specialities. Its guests are encouraged to explore its trails on foot or in the available bikes. Children play with wheelbarrows, catch eggs in the movable coop, or just play freely. Through local partners, meals are delivered and entertainment services are provided without fees. Sustainable tourism has seen a lot of green initiatives, however water bound transport has so far always been neglected, although it carries one of the biggest CO2 footprints. Even the worlds leading eco-resorts rely on fossil fuel powered boats when it comes to picking up their guests from the airport or taking them on lagoon excursions. Naval DC and Soel Yachts have developed a range of carbon neutral solar electric vessels in order to provide a viable and better alternative to nowadays fossil fuel powered boats. Our latest vessel, the SoelCat 12, a solar electric coastal water passenger transport catamaran especially aimed at water bound municipalities, resorts and nature reserves. Good Thinking Outdoors is a collaborative network for the nature based tourism and ecotourism community. Bringing aspects of professional experience, personal adventures, projects within several communities and the science between nature and the brain, Good Thinking Outdoors is a place to discover and share. Its is not about what we think, it's consciously knowing when good thinking emerges. Paradores de Turismo de España, S.A. is a 100% state-owned enterprise. We are committed to restoring our cultural heritage for use by the tourism industry, making it possible to preserve and maintain this heritage for over 85 years. Since its creation in 1928, it has built an organizational model associated with quality and sustainable tourism, modernity and personalized customer service and care. It also acts as a social, cultural and economic leader in its areas of influence and the image of a modern, high quality Spanish tourism industry abroad. Paradores is looking to the future with a stronger focus on creating experiences that showcase the cultural and natural heritage of destinations and achieving the objectives intended to reinforce its commitment to sustainability. Nomad Lodges is based on the spirit of the nomadic people of South America and invites travellers to discover places “picked by the heart” through a network of lodges built in total harmony with their environment. The first lodge will be built in the Amazon We based the Nomad Lodges concept on three pillars of sustainability: Environmental, socio-cultural, economic. The first step is to improve environmental conditions in the region where the projects will be implemented. The next step is to ensure healthy living conditions for the local population. The final step is to provide the local communities with additional revenues to contribute to the preservation of their environment and culture. This is a project to develop an Eco-Luxury Resort in the heart of Mata Atlantica (Brazil). The Mata Atlantica has been devastated in the past Century, so today there is only a 10% left of the original size, that use to run all along the brazlian coast. The owner of this Land wants to return part of this nature to the Mata Atlantica and for that, he did create two years ago the Instituto Manacá for the Mata Atlantica recovery, where some scientist work permanently already. The Eco-Luxury resort will be a way to let the World know, visit and participate to this recovery. National Geographic has been informed about the project and they are so far, positives to support it.